Grave : Plot VIII. Row A. Grave 15. 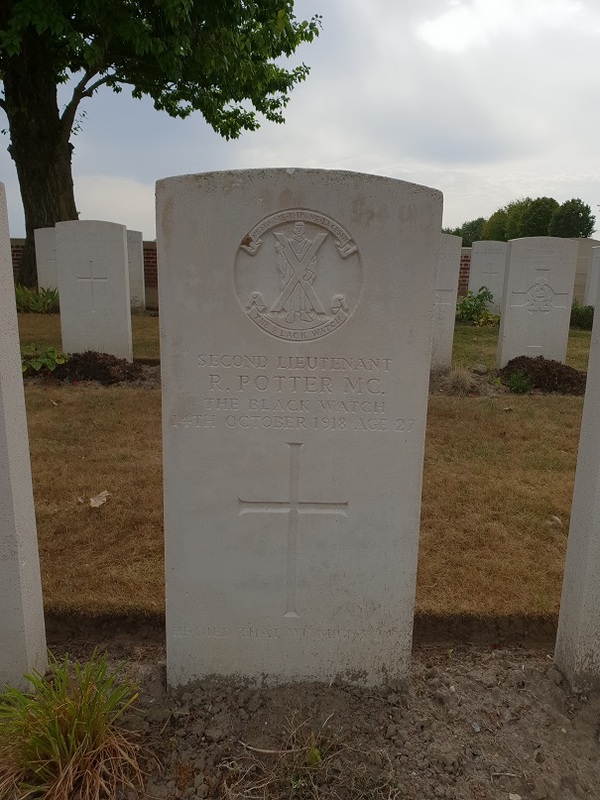 R. Potter was a son of Elizabeth L. Potter, of 64, High Street, Dysart, Fife. He was awarded the Military Cross.